Chicka Chicka Boom Boom, free stuff for your classroom! I love starting the school year with the classic book, Chicka Chiicka Boom Boom! It's so well known that most of the kids know it by heart and it's a great way to establish the attitude that we are all readers. I'm working on a packet of math and literacy centers because I think that using a favorite book to introduce center routines and expectations is a good hook. 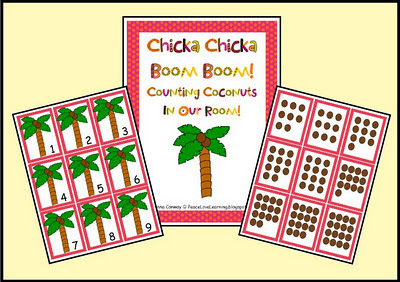 Today's freebie is one of the activities I've created to use for my first math center. Click below the picture to download this activity. Happy 4th of July! This is too cute! Thanks bunches! Can I say LOVE!!! I, too, am using Chicka Chicka at the beginning of the year! 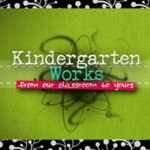 This is perfect and can't wait to see the whole packet on TpT! Thanks! Our first grade classrooms use the Chicka Chicka Boom Boom theme! This will be perfect. Thank you and please consider following my blog. I am now following yours. Very cute design btw! Thanks for the great freebie. 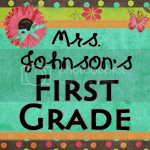 I am trying to learn how to post clickable freebies on my blog. Not having very much luck though! Any helpful hints. I can upload my documents to google docs, but I am stuck there! Thanks for the adorable Chicka center. These are awesome!! Thanks so much for the freebies!! I will have to check out your TPT store next!! Just became a follower. I will have to check back often!! ♥ these!!! Thanks so much for sharing!!!! THanks for sharing the free activities...they are fantastic! Thanks for sharing this cute and meaningful activity! Oh my Goodness!!!! This is wonderful! Thank you for your FREEBIE! 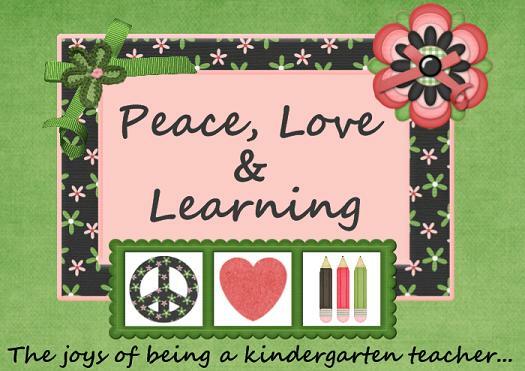 I've been teaching Kindergarten for 12 years and I LOVE it! I have a sweet Beagle named Sally and she's just the best thing ever!